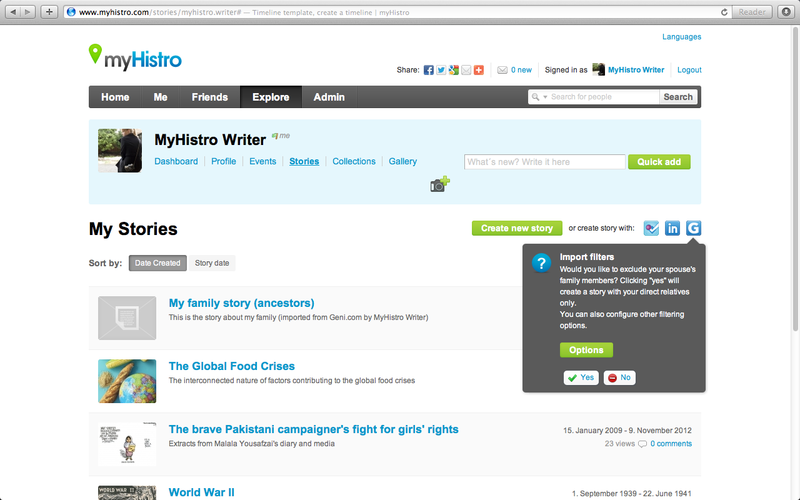 ← Make geography a fun class with myHistro’s geolocated timelines. I remember sitting next to my great auntie listening to her talking about dad’s side of the family. At the time she was 75 and was the only person in my hometown who had the most vivid memory of our relatives. But somehow today I still tend to mix up most of their names and faces. Until recently, when I discovered how popular, Geni, an online family tree creator, is among my relatives. Just as I did, some of you might wonder, is it even possible to find information about your family and ancestors online? And what is it that drives people to search for their ancestors? Since Geni MyHeritage acquired Geni, a site dedicated to passionate genealogists, your chances to trace down your family history just got bigger. And if you are looking for advice or tips their blog is packed with interesting posts! As they say two heads are better than one. 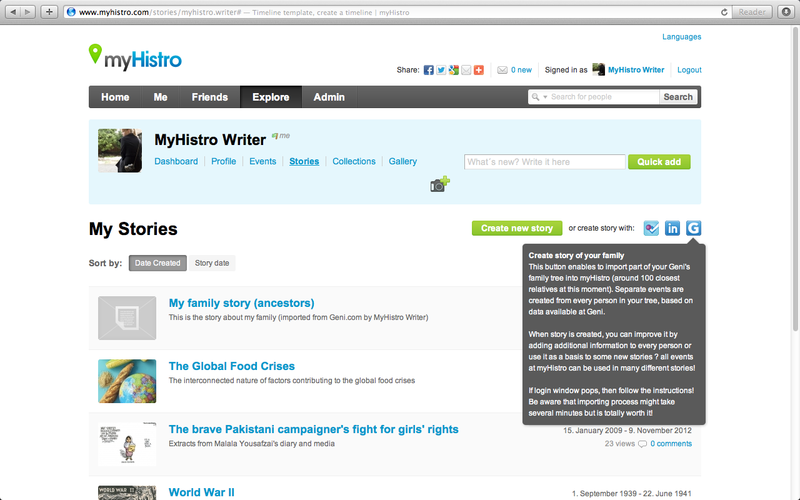 If your project seems quite ambitious, why not invite your family to join myHistro and assign them as your story’s co-authors? This way they can contribute to your story. Once you start importing data from Geni, you can choose whether you would like to create a story of your family history or your spouse’s. At the moment you can add data of up to 100 relatives and a separate event per person. Not to worry if you haven’t quite figured out the end result. You can make additional changes later as well! There are different ways to approach writing a story of your family’s history. You can pick something that characterizes each of your relative: a passion, a favourite dish, something they were really good at, where did they hang out or with whom? Often it’s the moments we remember and cherish the most, rather than someone’s whole life story. Journals, articles, photographs, and other records can all be helpful with dates and especially visual records. You might find out that someone from you family might have left a journal behind. Their writing could be helpful in the sense of giving a greater visual description of the surroundings and society at the time. Cherish your ancestors and their role in your life today! In case you might be worried about making your story public, you have the option to limit access to friends only. This entry was posted in Uncategorized and tagged ancestors, family tree, Geni, History, memory. Bookmark the permalink.